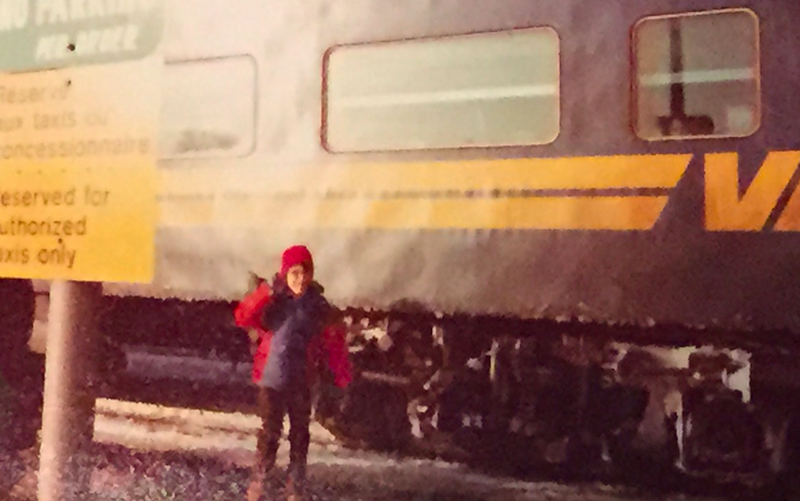 When I was nine years old, I took a train from Kingston, Ontario to Montreal, Quebec by myself. I went to visit my grandparents for my birthday and to attend my first NHL hockey game. The two cities are just three hours apart, and while the conductor kept an eye on me when he made his rounds, I was very much on my own as strangers sat next to me and got on and off over the course of the multiple stops en route. 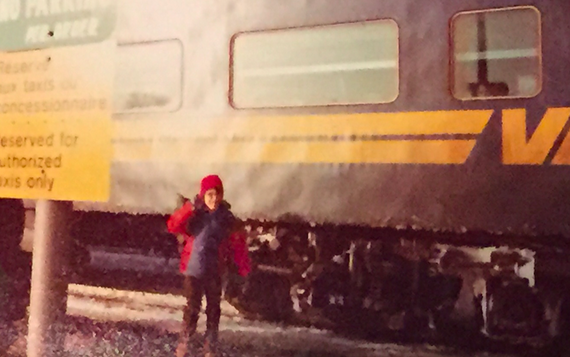 A few years later, my sister would make a journey to visit our grandparents for a visit by herself, too. This time she'd fly on a plane from Vancouver to Montreal. She was six. So, why was I shocked this week when my parents sent me a last-minute email wondering if my son would like to go and visit them next week on a flight by himself? He is eight and has been flying since he was eight months old. He is well-versed in the protocol and routine that is involved in flying. We live in Calgary, my parents live in Vancouver and the flight would be an hour. And still, I was taken aback. The more I thought about it, the more I questioned my questioning. I asked a Facebook group of dad bloggers as well as my circle of friends, and virtually all had no problem with it. "It depends on the child,""they get treated like princes," and "I went by myself when I was four" were some of the responses. So, I popped over to WestJet's website to see what their unaccompanied minor policies were. The policy is in place for kids between the ages of eight and 12. I'd have to arrive 90 minutes before his flight, and I would be required to walk him directly to the gate. From there, an agent would help him board. I'd then have to stay in the airport until the plane was in the air. At the other end, the agent would walk my son off the plane and to the luggage carousel to meet my parents. Strict ID requirements must be met and a ream of paperwork would have to be completed, but the whole process seemed pretty painless. My wife, who I thought might balk, didn't have a problem. My son was eager to go. All I needed was a ticket. Why do airlines charge the fee? Because they can. While there is a few minutes of extra work required by an attendant during the flight to watch a UM, they don't actually hire any extra staff to do any of the extra work. Someone just takes him under their wing. For this single hour of "babysitting," I'm charged $100. It's a little disappointing. But, just like with the baggage fees airlines have become addicted to, auxiliary revenue streams are all bottom line gravy in this industry, so I'm not surprised to see them add an expensive user fee. Even with a 20 per cent seat sale discount on the airfare, my son's ticket to Vancouver for four days would be a few loonies short of $600. So, the question changes from "Would you let your eight-year-old fly on a plane alone?" 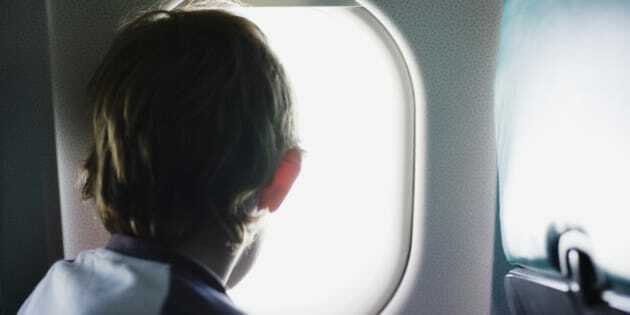 to "Can you afford to let your eight-year-old fly on a plane alone?" There might be a cheaper way for you to get your kids on a plane, by using a companion fare. For kids younger than eight, you can pay just a one-way fare if you fly them to their destination, then turn around and return almost immediately. That's one way to get a half-price ticket on WestJet, but more expensive than packing your child on the plane alone. In an age where Orthodox Jews balk at sitting next to women on planes, and some people want to ban children from sitting next to men, I'm not worried one bit about my son flying off on his own. I just wish it was cheaper so we could do it more often! 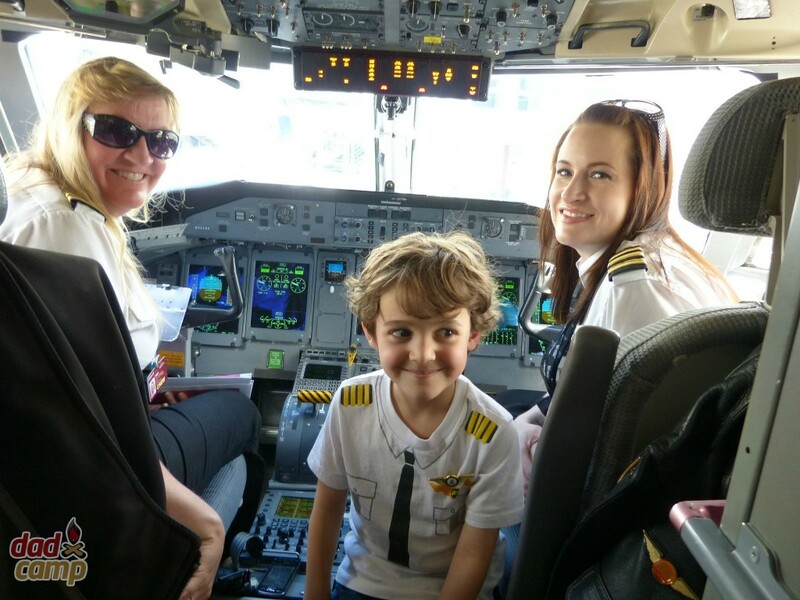 At what age did your kids first fly on their own? Is it cool to let kids fly alone on planes? Should their be other rules? What do you think of unaccompanied minor surcharges? Buzz Bishop is a Calgary dad, broadcaster, and writer. You can find his parenting blog at DadCAMP, you can follow him on Twitter and on Facebook. A version of this post originally appeared on DadCAMP.